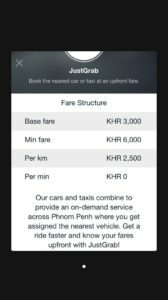 Grab has launched their private beta in Phnom Penh and Uber is yesterday’s news. On Sunday, after months of speculation, screenshots of Grab’s UI started to surface within Cambodia’s Facebook community. The images, which bear an uncanny resemblance to literally every other ride-hailing application in Phnom Penh, followed a relatively quiet recruiting campaign launched by the company just weeks before. The Singapore-based ride-hailing service has been a favorite in the Southeast Asian region as competitors, such as Uber, struggle to gain footing. 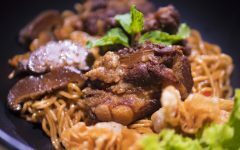 Originating in Malaysia, Grab is a rare example of a Southeast Asian unicorn that has successfully dominated local markets and scaled to be a main competitor internationally. 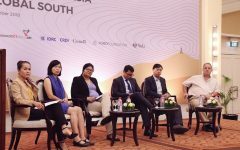 Cambodia has yet to see a startup achieve this type of success and with the launch of Grab in Phnom Penh, homegrown startups like Exnet will have a hard time holding onto their market share. The expansion into Cambodia was to be expected as Grab announced their intent to enter Myanmar earlier this year. 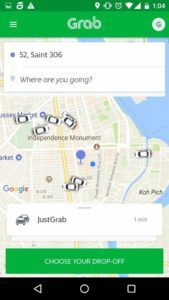 The $2B funding round led by Didi and Softbank was just the last piece of the puzzle as Grab continues its mission to defeat Uber in Southeast Asia. The scandal-ridden (no pun intended) Uber recently went through various leadership changes as their infamous ex-CEO, Travis Kalanick, was asked to resign in June. Uber continues to face challenges locally, as well, with alleged bribery in Asia, specifically in Indonesia and Malaysia. For now, consumers can benefit from the over-saturation of ride-hailing services in the Kingdom thanks to low prices and high supply. Enjoy it while you can, you never know what will happen in the ever-changing city of Phnom Penh. 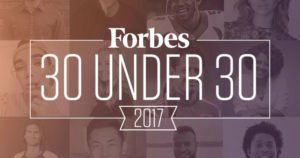 Founder and CEO of Cambodians in Tech. Follow me on Twitter @mayagc.